This unique Rollerball shimmers with blue, and Hints of green in just the right light! 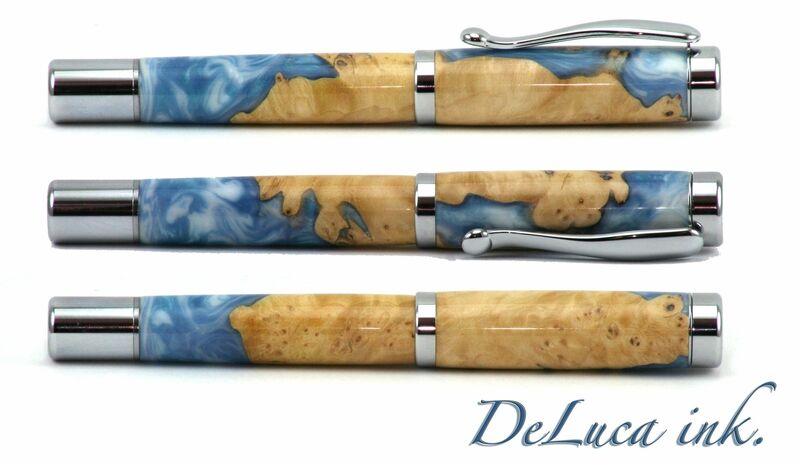 This particular writing instrument was made from a maple burl cap, harvested from the Pacific coast. 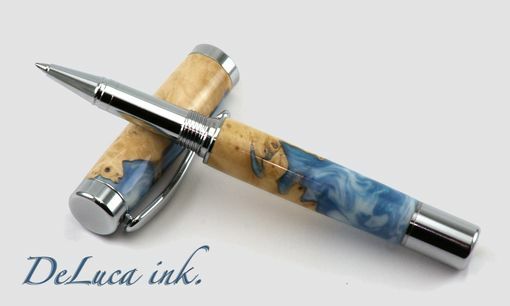 The burl cap was cast with blue and white contrasting alumilite resin. 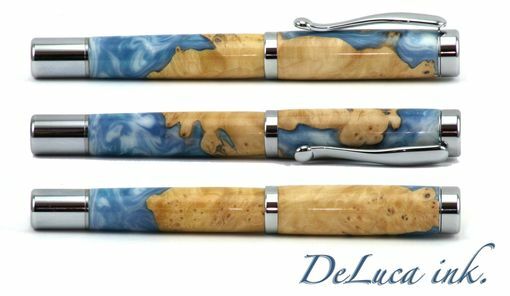 The contrast between the wood and resin reminds me of a coastline with crashing waves. Truly a unique writing instrument!